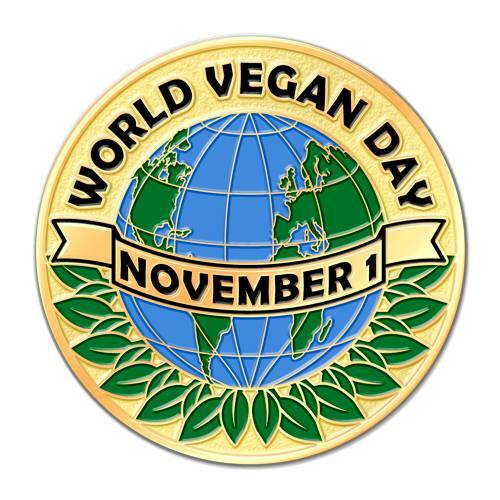 World Vegan Day is an annual event celebrated on 1 November, by vegans around the world. The Day was established in 1994 by The Vegan Society UK to commemorate its 50th anniversary. Vegans are strict vegetarians who refrain from consuming animal products, not only meat but also eggs, dairy products and other animal-derived substances. They do not wear skin, fur, silk and wool clothes, do not use products which were tested on animals. On this Day vegans around the world join together to remind about animal rights. Animal advocates hold street stalls about veganism, host vegan potluck events, plant memorial trees for World Vegan Day and give away animal friendly vegan baking.